How Does an Appraiser Do an Appraisal on a Business? What is an Appraiser? How Does an Appraisal Work? A property/real estate appraiser evaluates the value of homes and other real property. Some appraisers specialize in certain types of property, such as livestock appraisers and art appraisers. Appraisers work the same way in all situations, including appraising the value of a business. An appraisal is a process the appraiser goes through to determine the value of whatever is being appraised. An appraisal is a done by a disinterested party (the appraiser) according to specific standards for the type of asset being appraised. Appraisers are required to operate independently to prepare a business valuation or to value business assets, using financial analysis, physical review, and industry comparisons. Appraisers must meet specific standards, established as Universal Standards of Professional Appraisal Practice (USPAP). To be certified to be an appraiser, individuals must take a USPAP course. Appraisers are certified/licensed by state regulatory boards, for the states in which they practice. 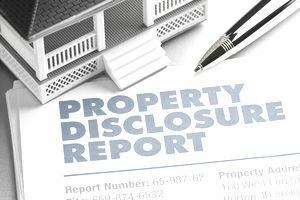 Many personal and business transactions involving property require an outside independent person to provide an opinion about the value of that property. For example, in art appraisal in a divorce, an appraiser can give a disinterested but expert opinion about the value of the art. What Kinds of Business Situations Need an Appraiser? Business Buying and Selling. Before selling a business, many business owners get an appraisal. For an ongoing business, there may be a need for an appraiser in a buy/sell situation, where one of the owners leaves the company. Real Estate. Within a business, there may be times when an appraiser is needed to value real estate, for sale or purchase. In this case, a real property appraiser is needed. Business Disputes. Appraisers may be needed to value a business within the process of a business dispute. Shareholder disputes and marital disputes where business property are involved are two examples. Business Damages/Disaster. An appraiser may be needed to value a business for insurance purposes, after a disaster or other damage to the property and assets. Bankruptcy. The process of business bankruptcy usually includes an appraisal for valuation. What are the Types of Business Appraisers? Some appraisers specialize in intellectual property (patents, copyrights, trademarks) and other intangible assets. These intangible assets are valued differently from tangible assets. An equipment appraiser evaluates equipment for sale as part of a business transaction. For example, if a business wants a loan, and pledges specific business assets as collateral for that loan, an appraiser will review the condition of the assets and the fair market value, to determine the value of the assets. How Can a Business Be Valued? Businesses can be valued in several different ways. Usually, an appraiser uses several different valuation methods to come up with several values for a business, based on certain assumptions. The Fair Market Value method usually considers the value of all equipment, furniture and fixtures, vehicles, and intangible assets. Fair market value is defined as what the property would sell for in an open market, with the price determined by a willing buyer and willing seller. A Liquidation value assumes that the business stops and all assets must be sold quickly. This is the most drastic valuation because it means that the business owner will receive only the minimum value. A Capitalization of earnings valuation, according to AccountingTools.com, looks at "deriving the net present value of its projected future earnings." That is, working backwards from a point in the future and using assumptions on how much the earnings will increase from the present. A "Going concern" value assumes that the business continues to pay its bills and be profitable. This is the highest valuation amount because a going concern is the best situation for buying a business. What Valuation Method is Used for Business Stock? The valuation of shares of business stock is different from valuing the business or its assets. This type of valuation isn't typically done by an appraiser. What Does an Appraiser Cost? Who Pays? The cost of a business appraisal depends on the circumstances. Most appraisers work by the hour, so the size and complexity of the company (the number of assets) play a big part in the cost. According to Mariner Capital Advisers, the cost of a business appraisal can vary between $5,000 and $30,000. The cost is paid by the person asking for the appraisal. For example, in a business purchase, the buyer usually asks for the appraisal. But the seller can also get an appraisal on the business before the sale process begins. Can I Get a Business Appraisal Any Time? If you are thinking about selling your business or you just want a valuation to establish the value before a disaster or case there is damage to your business, you can always get an appraisal before the fact. Do I Really Need an Appraiser? Can I Do a Business Valuation Myself? You can do a valuation of your small business at any time, using one or more of the valuation methods suggested in this article about how to determine the value of a business. But if you need a valuation for insurance or for selling a business, you will need an outside independent appraiser. If your business is a corporation or partnership, or if you have multiple subsidiaries or other complex situations, you will definitely need the services of an inddpendent appraiser. How Can I Find a Business Appraiser? Both of these organizations accredits business appraisers. That means the organization has its own accreditation method, which may be more or less rigorous. You may want to read more about accreditation for appraisers on the BizBuySell website.